Rescuers are racing against the clock to reach survivors trapped under the rubble of a school in Mexico City which collapsed during Tuesday's earthquake. Rescue teams initially reported that a 12-year-old child may be sheltering under a table, but now they say they believe it is an adult. Officials say 11 children were rescued, but 19 children and six adults died. It was one of dozens of buildings toppled by the quake. At least 230 people are known to have died. Mexican President Enrique Peña Nieto has declared three days of mourning for the victims. 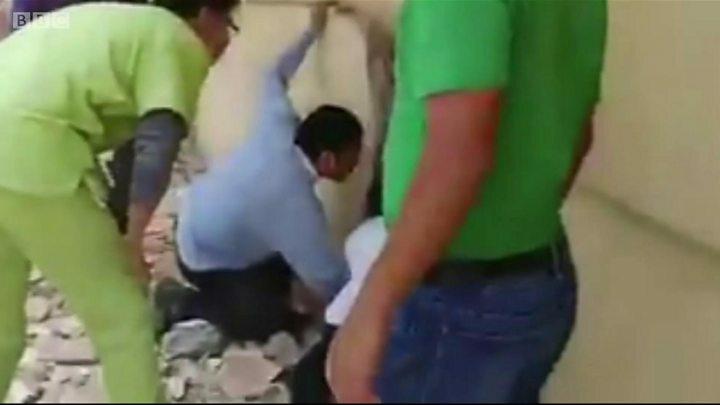 As rescue operations continued for a second day, attention was focused on the Enrique Rébsamen primary school, in Mexico City's southern Coapa district, where the body of a female teacher was found overnight. Who are Mexico's volunteer rescue 'moles'? Assistant Navy Secretary Angel Enrique Sarmiento said on Thursday that rescue teams now believed an adult person - probably a school employee - may be still alive under the rubble. He added that all the school pupils had now been accounted for - either alive or dead. 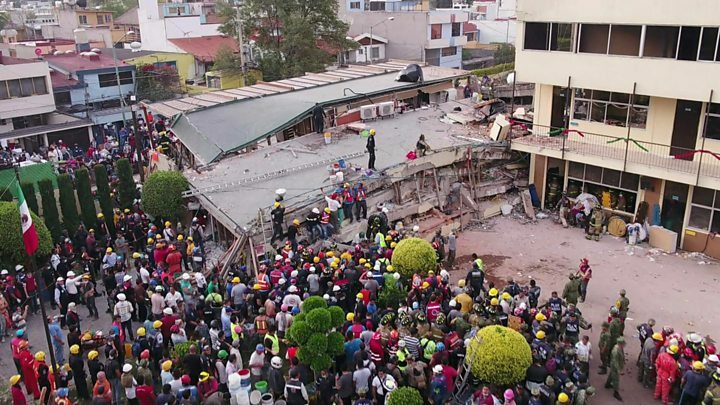 Earlier in the day, civil protection volunteer Enrique Gardia announced that a thermal scanner had detected survivors trapped between slabs of concrete. "They are alive! Alive!" he shouted. "Someone hit a wall several times in one place, and in another there was a response to light signals with a lamp," he added. Rescuers at times were demanding "total silence" from bystanders around them in order to listen out for any calls from survivors. One mother, standing nearby waiting for news of her seven-year-old daughter, told reporters: "No-one can possibly imagine the pain I'm in right now." Why did only some buildings collapse? More than 500 members of the army and navy together with 200 police officers and volunteers have been working at the site. The country's elite team of rescuers, known as "the moles", are leading the volunteer rescue efforts. The group was formed in the wake of the devastating 1985 earthquake that killed up to 10,000 people. Are Mexico's two earthquakes connected? Mexico City authorities kept hopes alive on Wednesday, saying 52 people had been rescued so far from collapsed buildings. 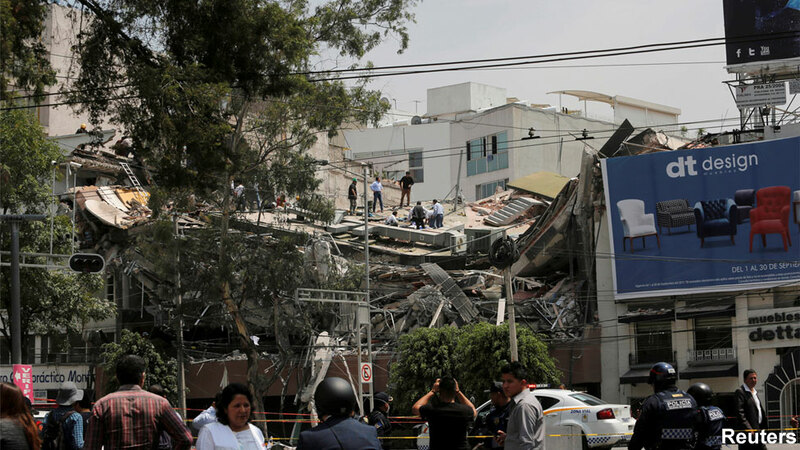 Mayor Miguel Angel Mancera said 39 buildings in the capital had crumbled and search teams were scouring nearly all of them for survivors. 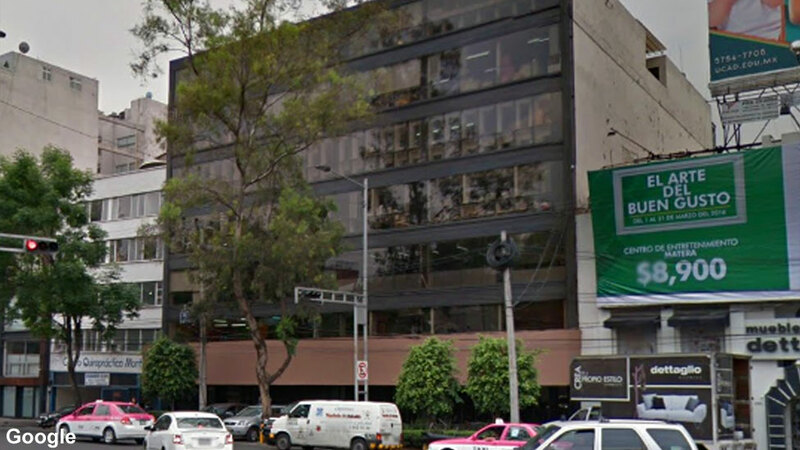 The BBC's Rajini Vaidyanathan, in Mexico City, has been told there might be as many as 30 people trapped inside a collapsed six-storey apartment and office block. Meanwhile, police have stepped up patrols in areas hit by the quake to prevent vandalism and looting. Mexico is no stranger to earthquakes and earlier this month an 8.1 magnitude tremor in the south left at least 90 people dead. Tuesday's tremor struck shortly after many people had taken part in an earthquake drill on the 32nd anniversary of the deadly 1985 quake.